Support for local farms in Switzerland is nothing new. The Swiss have long preferred to buy local products over imported ones and will gladly pay extra for the pleasure of helping their countrymen. The popularity of the brunches is just an extension of the passion the Swiss have for eating locally. There’s more to a farm brunch than food, however. Many farms offer opportunities for children to feed goats or rabbits, some have organized art projects during the brunch—make a purse out of a paper plate, anyone? Others offer entertainment such as line dancing, mini alphorn concerts, or farm tours. The goal is to bring people from the city and countryside together, which is a mission that countries like the United States would be smart to consider too. Though August 1 has only been celebrated as Swiss National Day since 1891, the country was founded 600 years earlier on August 1, 1291 when the three cantons of central Switzerland—Uri, Schwyz, and Unterwalden—took an oath in the Rütli meadow on the banks of Lake Lucerne to establish the country. But the people of Switzerland have only been able to celebrate their national holiday work-free since 1993. The Swiss make up for all that lost partying time with a huge spread of food followed by an evening of fireworks. To show your Swiss spirit and epitomise Swiss brunch fashion, be sure to wear the semi-required edelweiss shirt. 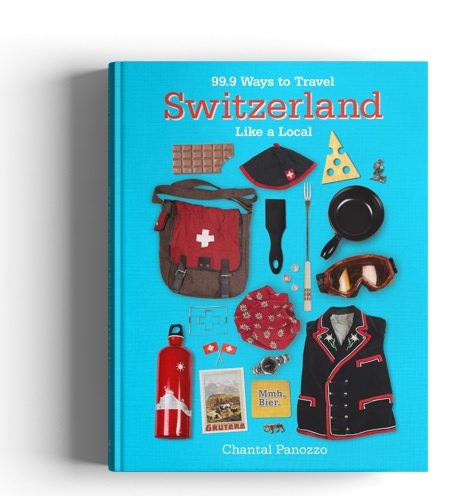 And for your personal collection, you can also stock up on Swiss flags, Swiss candles, Swiss lanterns, and anything else you can think of that’s Swiss—hardboiled eggs decorated like a Swiss flag, anyone? To find a brunch near you, (and there most likely will be one, since up to 350 farms across the country now participate) you can search for a brunch by canton or by zip code on brunch.ch. Once you decide on a brunch location, be sure to reserve your spot ahead of time. Over 150,000 people make reservations for brunches across Switzerland, so you do not just brunch on August 1 when and if the spirit moves you. 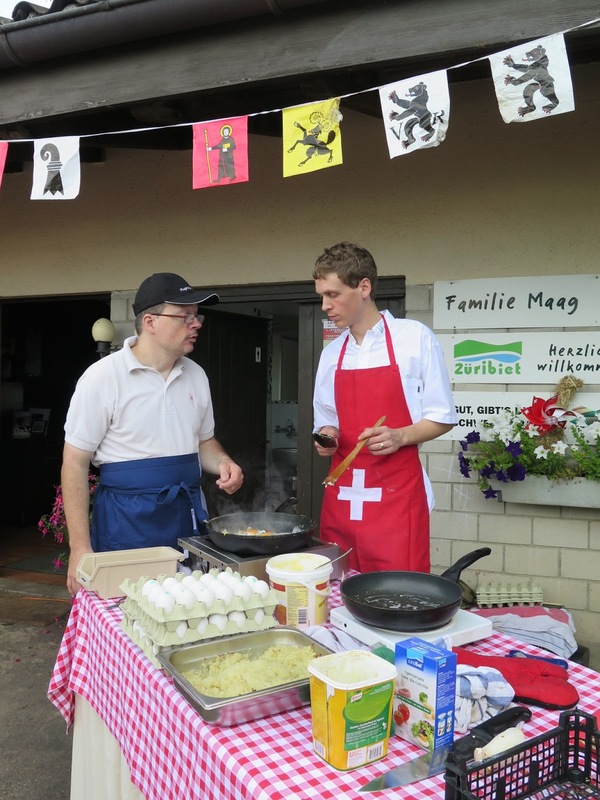 This is Switzerland, so farm brunches are highly organized—just like the country in which they take place. Time: Approximately 9:00 a.m.-1:00 p.m.
And yes: There is a brunch hotline…check the website for all your brunch news and needs. I'm an expat in Switzerland (sadly moving back to the US soon) and I just wanted to tell you how much I love your blog. Makes me smile. Will definitely feel the blues during our repatriation in August...but grateful for our years in Switzerland. Keep up the great writing! Thoroughly enjoy it. Java Certifications : Will Java certifications get a job in IT? Obviously Yes. Fresher are eligible for the Associate Level Certification : Oracle Certified Associate, Java Programmer I (OCAJP), there are lot of prometric centres to write this particular certification. Certifications proclaim that you are having implementation knowledge in what you undergone. So, basically, best knowledge brings up the right job opportunities. Hope Tutors are specialized in Java Training in Chennai. We also provide all Certified Training Courses in Chennai.